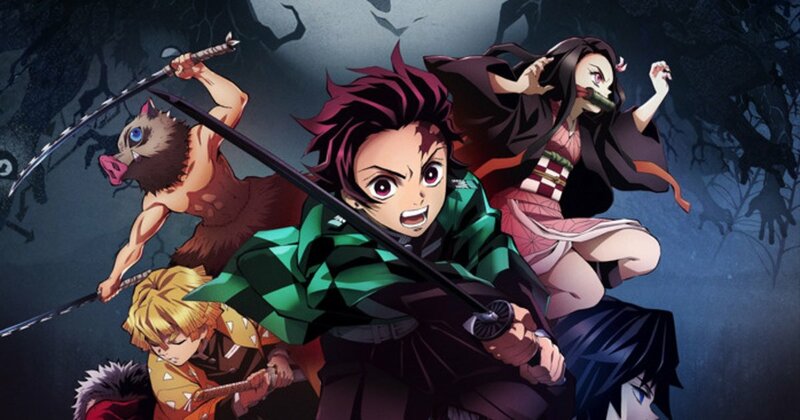 Ahead of its April broadcast, Demon Slayer: Kimetsu no Yaiba has confirmed 11 more members of cast, released a new key visual, and announced the artist for the show’s main titles theme. Based on the manga by Gotouge Koyoharu, Demon Slayer: Kimetsu no Yaiba follows kindhearted charcoal seller Kamado Tanjirou, whose life changes forever when his family is attacked by demons, leaving only him and his sister alive. In order to return his sister, now a demon, to her former state and avenge his family, Tanjiro sets out on a journey. In addition to releasing the latest key visual, the show has also confirmed that anisong veteran LiSA will be performing the main titles theme. 11 additional members of cast have also been announced including Kaji Yuki as Sabito, Namikawa Daisuke as Haganezuka, Midorikawa Hikaru as Odo no Oni, Otsuka Hochu as Urokodaki Sakoni, Kakuma Ai as Makomo, Okamoto Nobuhiro as Genya, Morikawa Toshiyuki as Ubuyashiki Kagaya, Izawa Shiori as White-Haired Guide and Yuki Aoi as Black-Haired Guide, Yamazaki Takumi as Kasugaigarasu, and Koyasu Takehito as Teoni. Demon Slayer: Kimetsu no Yaiba airs from Apr. 6.